Stately home in a fabulous location only two blocks from scenic Lake Harriet and the Rose Gardens. Spacious floorplan with an open feeling throughout! Exceptional charming details: gorgeous natural woodwork, beamed ceilings, crown moldings, built-in buffet, hardwood floors and custom-made oak radiator covers. Five bedrooms, two baths plus expanded kitchen, main floor den, and three-season porch. Beautiful, extra large lot. Enjoy nearby popular restaurants and coffee shops. Directions: Lyndale Ave So to 43rd St; West to Dupont; North to 4229. I was searching for a Property and found this listing (MLS #5199733). I would like to schedule a showing for 4229 Dupont Avenue S Minneapolis, MN 55409. Thank you! I was searching for a Property and found this listing (MLS #5199733). Please send me more information regarding 4229 Dupont Avenue S Minneapolis, MN 55409. Thank you! 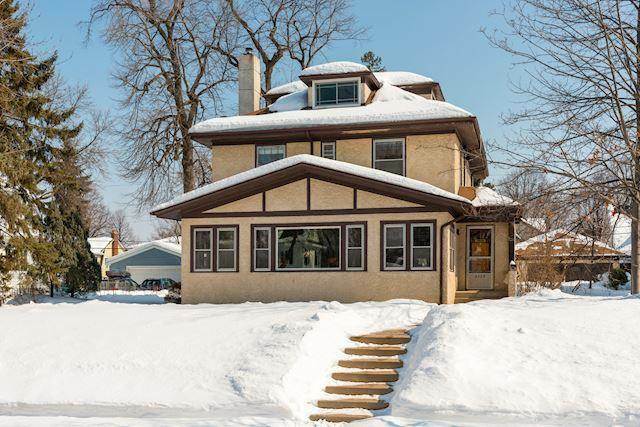 Listing provided courtesy of Edina Realty, Inc..
MLS® 5199733: This property at 4229 Dupont Avenue S, Minneapolis, MN 55409 is located in the East Harriet subdivision and is listed for $725,000. MLS® 5199733 has been on the market for 39 days.